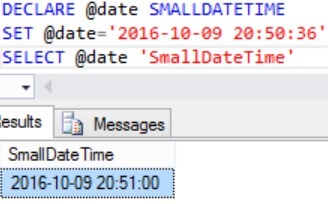 Both SMALLDATETIME and DATETIME Data Types in Sql Server are used for storing Date and Time values in Sql Server. Below table summarizes some of the major difference between these two Data Types. 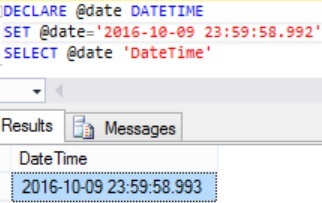 Second’s values that are 29.998 seconds or less are rounded down to the nearest minute. And second’s values of 29.999 seconds or more are rounded up to the nearest minute. 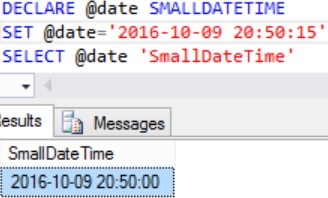 So seconds part value is always 00. 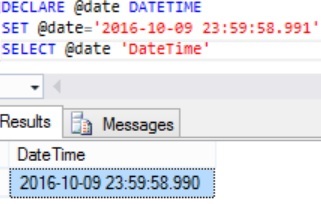 If time part in the date is 23:59:58.990 or 23:59:58.991, it will be stored as 23:59:58.990.